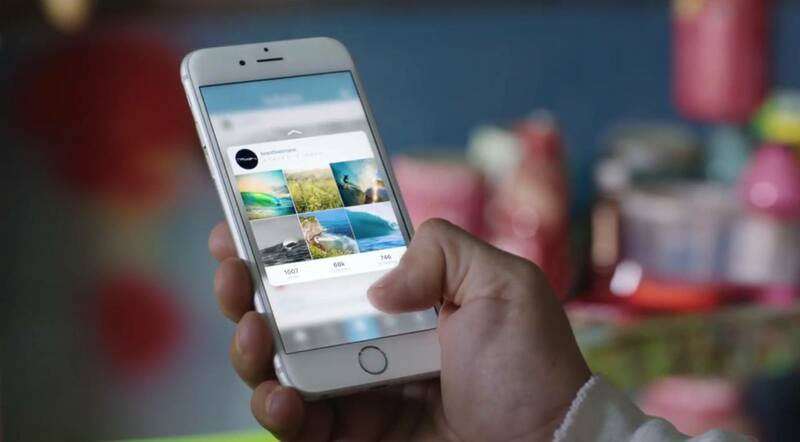 Apple aired a new iPhone 6s commercial today, focusing on the 3D Touch capabilities of the device and what the functionality brings with iOS 9. Modelled after the first commercial for the iPhone 6s and carrying the same "The only thing that's changed is everything" tagline, the ad highlights the peek and pop gestures of 3D Touch for apps like Mail, Messages, Maps, and Instagram. Jamie Foxx makes an appearance during a brief Apple Music segment, and Apple also showcases Home screen quick actions, Mail gestures, and peeking flight information. It's a fun, fast-paced ad in the style of the first one, and it does a good job at communicating the time savings granted by 3D Touch gestures. You can watch it below.